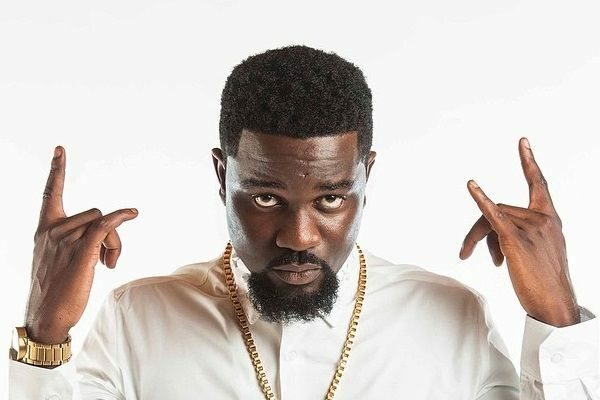 Ghanaian rapper, Sarkodie was disrespected at One Africa Music Fest in Dubai. 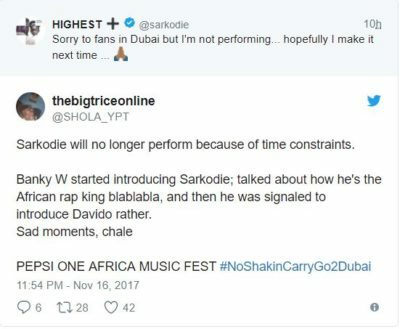 He tweeted about not been able to perform at the festival in Dubai. 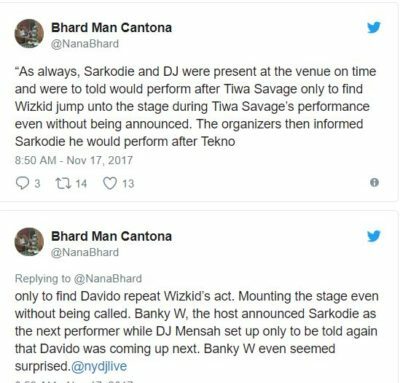 A twitter user, @SHOLA_YPT then tell us what lead to his inability to perform.